Baioca is located close to Monterreal in the heart of Baiona facing the maritime walkway. 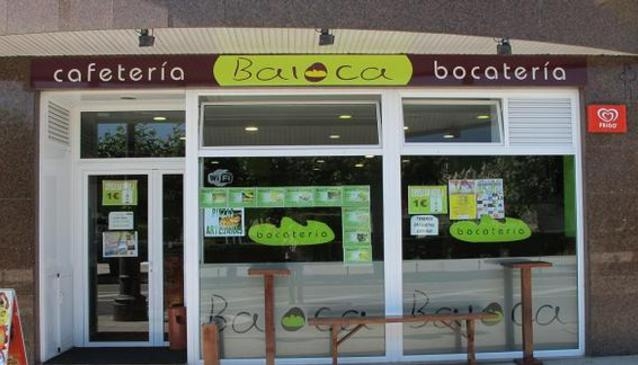 Baioca is famous throughout Baiona for its enormous baguettes/sandwiches and extra large hamburgers! In addition,they have available a range of menus with desserts and coffee with a drink for only €6.50. Don't forget to try their home-made pizzas and if you prefer you can call Baioca to order food to take-away or to reserve a table for any type of event. Ruben, Xurxo and his team will ensure you get a great meal for an amazing price. There is always a great atmosphere and you can watch the footaball when La Liga is playing.